In the galactic perspective or view of reaction existence on earth, the human being, or collections of human beings in an evolving social system, would be considered as a 'molecule', namely a structure comprised of two or more atoms. The term 'human molecule' as the label of the person was coined in 1789 by French polymath Jean Sales. The first rigorous theories on the concept of the human molecule as the functional unit of society were the social-economic theories of French-Italian mathematical engineer Vilfredo Pareto. The first calculation of the empirical molecular formula for a human being was made in 2000 by American limnologists Robert Sterner and James Elser. 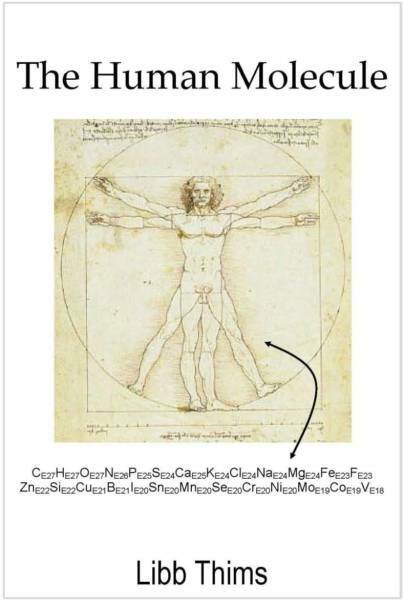 The first full-length book on the history and development of the concept of the human molecule, with focus on its mechanistic function in the 200-year old science of human chemistry, the study of chemical reactions between people, is the new 2008 The Human Molecule by American electrochemical engineer Libb Thims.